Sports day at the Paddington Recreation ground in London saw our secondary students play international games like Kin-ball. Kinball is a team sport created in Quebec, Canada in 1986 by Mario Demers. Three teams play. Defenders try to catch the ball. If they do, they become the attacking team. Attackers try to make the defenders drop it after launching the kin-ball, often by faking hits. 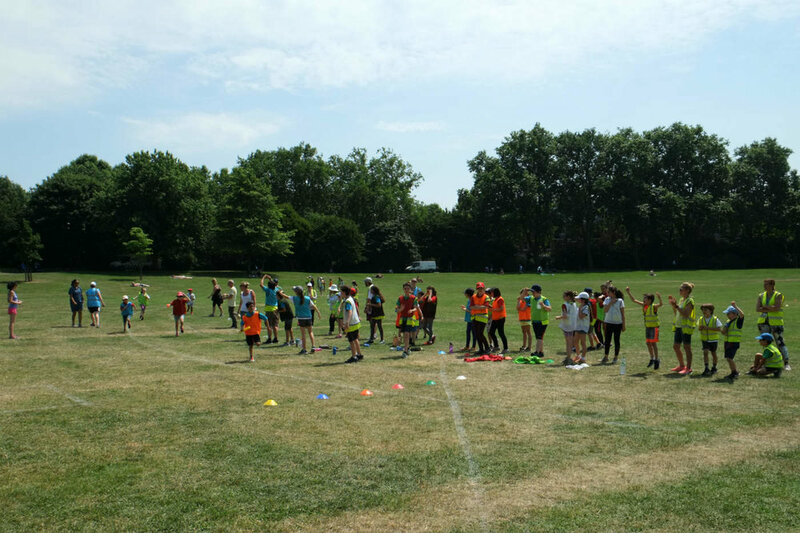 Other games included super chaos dodge-ball, capture the flag, rounders and football. Our Primary students saw who had the strongest arm by throwing a frisby, american football or a discus. They also attempted to be the best dribbler of a football, complete an assault course in the fastest time and win the end of day relay race.